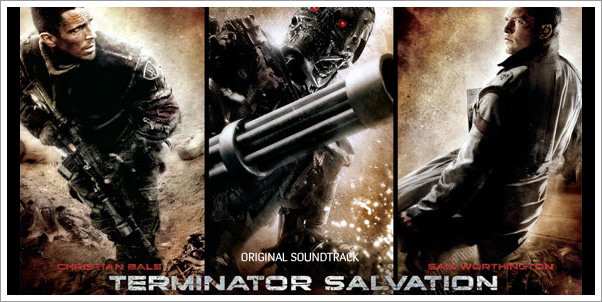 Burbank, CA- Reprise Records will release the original soundtrack to the hotly anticipated feature film Terminator Salvation on May 19th — two days before the film--the fourth installment in the Terminator film franchise--hits theaters nationwide on Thursday, May 21st, 2009. Terminator Salvation — Original Soundtrack features an original score by one of Hollywood's leading film composers, Danny Elfman, a four-time Oscar® nominee and Grammy and Emmy Award winner. Elfman has composed the score for more than 60 motion pictures, including Batman, all three Spider-Man blockbusters, Milk, Good Will Hunting, Big Fish, Men In Black, and The Nightmare Before Christmas. Capturing what the film's director McG calls "the delicate nature of humanity and the unrelenting brutality of the machines," Elfman's synthesizer/orchestral score for Terminator Salvation elevates and expands the sweeping soundscape of one of the most successful film franchises in history. The first three Terminator films grossed more than one billon dollars worldwide. The soundtrack also includes "Rooster" — a classic song by Seattle hard-rock band Alice in Chains, written by the band's guitarist Jerry Cantrell for his father, who served in the military during the Vietnam War. A post-apocalyptic science fiction adventure, the film is set in the year is 2018. Judgment Day has come and gone, leveling modern civilization. An army of Terminators roams the post-apocalyptic landscape, killing or collecting humans where they hide in the desolate cities and deserts. But small groups of survivors have organized into a Resistance, hiding in underground bunkers and striking when they can against an enemy force that vastly outnumbers them. Only one man saw Judgment Day coming. One man, whose destiny has always been intertwined with the fate of human existence: John Connor (Christian Bale). Now the world is on the brink of the future that Connor has been warned about all his life. But something totally new has shaken his belief that humanity stands a chance of winning this war: the appearance of Marcus Wright (Sam Worthington), a stranger from the past. Connor must decide whether Marcus can be trusted as they find common ground to meet the enemy head-on. The film stars Christian Bale (The Dark Knight), Sam Worthington (Avatar), Anton Yelchin (Star Trek), Moon Bloodgood (What Just Happened), Bryce Dallas Howard (Spider-Man 3), Common (Wanted), Jane Alexander (The Unborn) and Helena Bonham Carter (Harry Potter and the Half-Blood Prince).